I haven't put up a recipe post in a good long while, and what better way to make up for it than to share ice cold refreshment recipes...because baby, it's HOT outside. We're melting over here, but I have NO COMPLAINTS! I love summer and everything that comes with it. 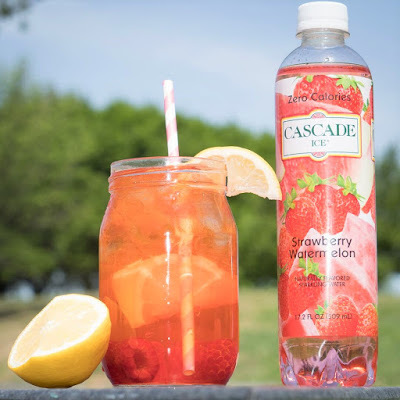 It's way better than ice and snow, and with Cascade Ice drinks in the house (my son's favorite!! ), it's easy to cool down anyway! All 3 recipes come to you courtesy of Cascade Ice. You can modify as you see fit or drink up, as is! 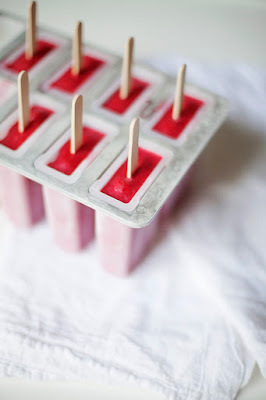 Peach Mango Ginger Ale Bars: Fill popsicle tray 1/3 full with your favorite Ginger Ale. Next, fill another 1/3 with Cascade Ice Zero-Calorie Peach Mango. Finish by adding freshly chopped pieces of mango. Want some raspberries in there? Strawberries? Add them in – the fresher the better! This is one of many great ways we're staying cool this summer. Thank you Cascade Ice! You are more than welcome to the heat. All of it. Even those cool treats wouldn't reconcile me. Those pops look amazing!!! Perfect for summer. 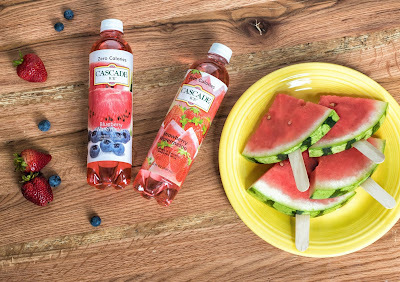 Summer is the perfect time for popsicles and mixing fruit drinks with Ginger Ale. I remember doing that all the time as a kid. It's a great tradition to pass on. I like that you have recipes included. I dig the first recipe! I think my boys would like it. I don't think I've seen that brand here before, but I'm going to hunt around our store on Sunday to see if we do, in fact, have it here. It sounds scrumptious! I'm salivating over the Peach Mango Ginger Ale! I love the addition of fresh fruit. We made frozen treats recently! Adding fresh fruit was great!